A bunch of new vehicles are arriving in Toyota dealerships, and not only is the Japanese brand renewing its range of compact SUVs, but its cars are getting some attention as well. 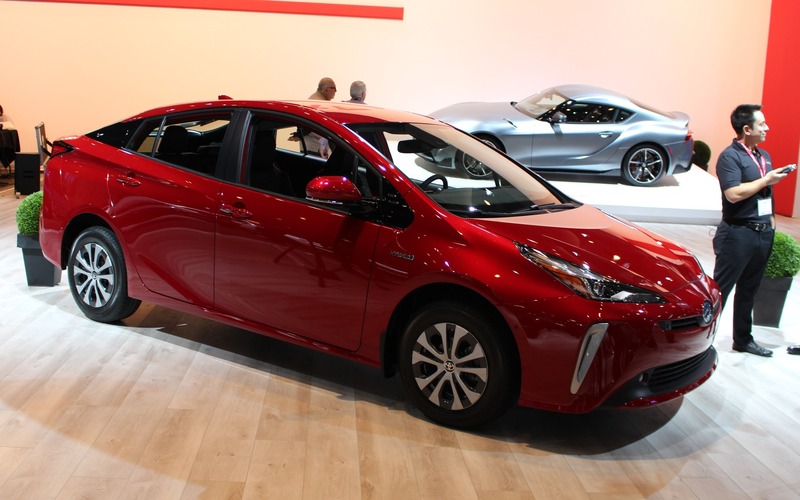 The 2019 Toyota Prius receives some cosmetic updates and a new, available infotainment system that incorporates an 11.6-inch touchscreen—like the one found in the Toyota Prius Prime. However, the big news for Canadian buyers is the ability to equip the popular hybrid compact with an all-wheel drivetrain. Also: 2019 Toyota Prius: Now with All-wheel Drive! In addition to the 1.8-litre four-cylinder engine, front-mounted electric motor and electronically controlled automatic transmission, good for a combined output of 121 horsepower, the Prius e-AWD also includes a rear-mounted electric motor that takes care of powering the rear wheels. The e-AWD system is reactive, which means the rear motor will activate itself between 0 and 10 km/h, and at up to speeds of 70 km/h when wheel slippage occurs. Otherwise, the Prius remains a front-driven car. The 2019 Toyota Prius e-AWD’s combined city/highway fuel economy is pegged at 4.7 L/100 km, or only 0.3 L/100 km more than the regular Prius’ rating. Pricing for the e-AWD version starts at $28,990 before freight and delivery charges. Toyota is also displaying its Fine-Comfort Ride Concept, a fuel cell vehicle that showcases what the cockpit of a future, self-driving car would be like, pushing the wheels as far outwards as possible to maximize interior space. The Toyota Fine-Comfort Ride Concept was initially unveiled at the 2017 Tokyo Motor Show. At the Toronto Auto Show, the manufacturer announced the starting price for the 2020 Toyota GR Supra in Canada, which is set at $64,990 before freight and delivery charges. The 2020 Toyota Corolla and Corolla Hybrid and the 2019 Toyota RAV4 Hybrid are also on display.